The Warriors travelled to Brechin hoping to put some distance between them and the home side at the bottom of the league. They knew that it would be a hard task though as despite Brechin being at the bottom of the table they were actually one of the form teams winning four out of the last five games and were growing in confidence all the time. Both sides made changes from the previous week with Ross Meechan returning after suspension for Stenhousemuir taking up the right back role which allowed Jon Robertson to return to midfield with Carlos Mazana dropping to the bench. For Brechin City Jassem Sukar was making his debut on loan from Dundee United and Lewis Spence returned after being unable to play against his parent club the previous week. The game was a slow burner but exploded at the end. Chances were few and far between in the first half though those that came fell to Brechin whose five man midfield cancelled out the four of Stenhousemuir. The first real chance came midway through the first half when Robert Thomson held off his marker and played the ball out to Liam Watt but the ball took a bobble and he shot over the bar. A Watt corner in the 28th minute was met by Thomson and McCabe did well to save but the ball broke to Paul McLean but he was to be denied before the ball was scrambled to safety by Stuart Malcolm. Thomson was causing problems and came close on a couple of occasions before half time. The visitors started the second half slowly and Watt had a snapshot saved just after the resumption but lessons were not heeded and Brechin went ahead in the 48th minute through a well executed Thomson overhead kick though he was able to score without being challenged. Jon Robertson saw a header deflected wide two minutes later and then Lewis Small held the ball up well but Mark Gilhaney’s quick strike went just past the post. Colin McCabe came to Stenhousemuir’s rescue again in the 58th minute tipping a Thomson drive onto the post. Brown Ferguson tried to change the game by bringing on Carlos Mazana but he was caught by an elbow received a broken nose and had to leave within minutes. Despite that set back the Warriors got stronger and were unlucky when Malcolm was unable to get full purchase on a Gilhaney cross. Colin McMenamin then headed wide and Fraser Eddington hooked a loose ball just wide. The best chance though came in the 78th minute when a long ball was allowed to go through to McMenamin who just had the keeper to beat but Graeme Smith saved with his legs. A rash tackle by Robson should have resulted in a sending off in the 80th minute but no action was taken though he was subbed just afterwards. McCabe then kept Stenhousemuir in the game with a fine stop from Spence in the 87th minute before the game erupted in the last minute. There was jousting for the ball at a throw in that then developed into a melee which ended with Summers and Tiffoney sent off. There was just enough time for a final chance for Stenhousemuir but Jamie McCormack’s shot was gathered easily and the final whistle blew with Brechin victorious. 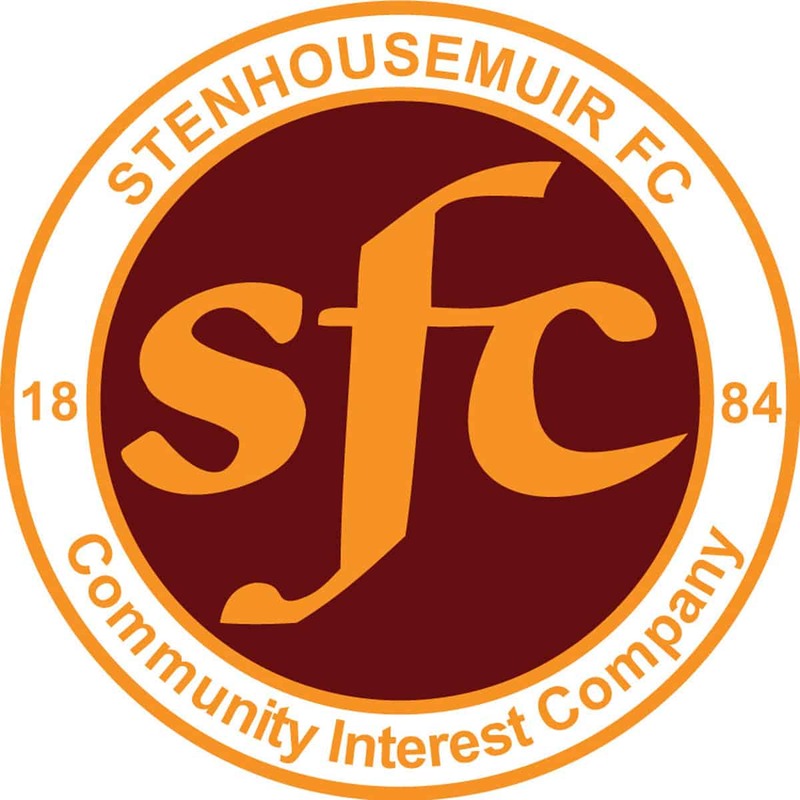 Stenhousemuir – McCabe, Meechan [b88], Summers [b25][so 90], Malcolm [b89], Murray, J.Robertson, Stirling [Mazana 65][Eddington 69], Beith, McMenamin, Small [McCormack 79] and Gilhaney. Subs not used – Paterson, McCroary, Allan and Barclay.